Water Damage Venice Free Inspection! Water damage restoration is necessary after many different types of disasters and 911 Restoration Los Angles has over 35 years of experience with each of them. Our water damage restoration Venice crew has seen pipe bursts, ruptured hoses, rainstorms, and appliance issues. Our water damage restoration Venice team is dedicated to customer service, so we prepare to repair. No matter what type of water extraction your home needs, 911 Restoration can handle it. If your home or business location is suffering from a water invasion of any kind, then contact our water damage Venice team with 911 Restoration Los Angeles today! Many of our customers are worried about cost when they call for water damage restoration Venice services. In many cases, the water repairs cost nothing out of pocket. 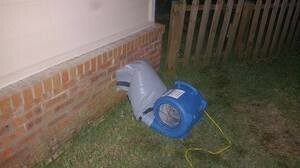 While every water damage job is different, the average cost is $2,500 with our affordable price. On top of that, we work with your insurance company to get the water removal covered. Don’t let your property experience any sort of water invasion. 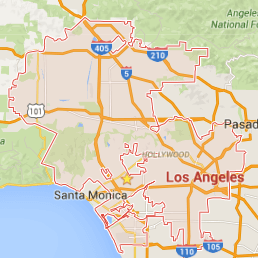 Contact our water damage Venice experts with 911 Restoration Los Angeles for help today! One particular customer was worried about the cost because she had many water damage incidents at once. A flex line snapped on her water heater, flooding her garage walls and baseboards. Inside the home proper, the toilet overflowed, saturating the carpet in the bathroom, hallway, and bedroom. She needed urgent, same day service, and 911 Restoration Los Angeles delivered. We were there within the hour to start the mitigation process. In doing so, we found a ceiling leak as well that had caused mold in the living room. While one team of water damage restoration Venice professionals cured one portion of the home, another was handling the mold removal. This house was submerged when we arrived, and the homeowner was truly worried her home was gone forever. We are determined to help the customer though, so we filed her insurance claim, offered a free estimate, and provided fast, efficient work. By the time we finished the property was better than when she originally moved in. The mold had been eradicated. The garage drywall was replaced. The upstairs carpets were re-lain. We took the house our customer had and turned it into the home she always wanted. The building was so completely damaged that much of the process was reconstruction. We did not recreate the building she once owned. Our water damage restoration Venice experts listened to her needs and wants. By the end, it was the perfect place for her. When you need a fresh start after floods, call 911 Restoration and our water damage restoration Venice staff.